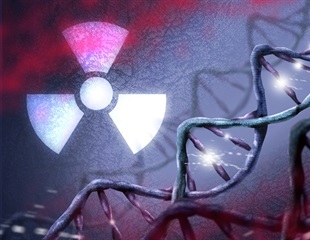 More than a decade ago, radiation oncologists noticed a nifty phenomenon: Sometimes radiation used locally against a tumor could excite the immune system to attack cancer systemically throughout the body. More than 120 professionals from the field of health and other experts from thirty-three countries worldwide have taken part in the social awareness event of the EUDONORGAN project, an initiative directly launched by the European Parliament and led by the University of Barcelona, together with the Bosch i Gimpera Foundation and the DTI - TPM Foundation, located at the Barcelona Science Park. Experiencing a bacterial infection? You're generally prescribed antibiotics by your doctor. But how exactly do those antibiotics and your white blood cells work in tandem to improve your infection? Despite good intentions, most people will not achieve their goal. Could psychology provide the answer to creating and sticking to your new year resolutions? Concerns about how businesses use employees to support colleagues with mental health issues, highlighted by University of Nottingham research, have prompted new guidance for bosses. A major grant to fund curiosity-driven research into plant communication has been awarded to a John Innes Centre researcher and colleagues from two European institutes. A team of chemists at the University of Bristol have developed a prototissue that is capable of synchronized beating when it is heated and cooled. It's one thing to start a chemical reaction and get a result, but it's quite another thing to watch it in progress. Rice University chemist Matt Jones wants to see it happen. The Electrochemical Innovation Laboratory at University College London is using ZEISS Xradia 810 Ultra X-ray microscopy to study the inner-workings of batteries and fuel cells. About one third of patients who have suffered a stroke end up with low vision, losing up to half of their visual field. This partial blindness was long considered irreversible, but recent studies have shown that vision training after optic nerve and brain damage can help restore or improve vision. A new study published in the journal Clinical Neurophysiology reports on key mechanisms of vision restoration: attention. Engineering cellular biology, minus the actual cell, is a growing area of interest in biotechnology and synthetic biology. In the eastern US, risk of contracting Lyme disease is higher in fragmented forests with high rodent densities and low numbers of resident fox, opossum, and raccoons. Biological materials exhibit superior mechanical properties relative to their weight when compared to the majority of all man-made materials. In addition to this, organisms can construct these materials using a very limited palette. Studies conducted at the University of Vienna by Marie Curie fellow Matthew Pelowski have contributed to the formation of the Vienna Integrated Model of Art Perception, a holistic framework within which the multiple cognitive processes underlying art viewing can be systematically organised. Life needs stimulation. However, overstimulation can cause exhaustion and illness. During specific sensitive periods early in life, stress can even affect later mental health. To uncover connections between brain regions and specific cognitive functions, neuroscientists have long made extensive use of techniques like functional resonance imaging (fMRI). First introduced in the 1990's, the method allows tracking the brain's activity while a test subject performs a task or responds to stimuli in the MRI scanner. Biomedical engineers at Case Western Reserve University are growing tracheas by coaxing cells to form three distinct tissue types after assembling them into a tube structure-;without relying on scaffolding strategies currently being investigated by other groups. Why Should We Weigh Every Protein in the Human Body? Our mission is to advance the measurement of human proteins with greater precision, to bring to the world the benefits of absolute molecular specificity when it comes to interrogating proteins at the molecular level. Researchers from the University of Nebraska-Lincoln, Harvard Medical School and MIT have designed a smart bandage that could eventually heal chronic wounds or battlefield injuries with every fiber of its being. Gastric carcinoma is one of the most common causes of cancer-related deaths, primarily because most patients present at an advanced stage of the disease.